Fastmetrics delivers business grade phone and internet services to the Fremont area. Twenty years of dedicated business broadband, data center and phone services. More recently, high speed fiber internet for small, medium and large Fremont companies. Our foundation is built on providing top quality services and responsive, local customer support. We deliver dedicated internet, phone systems and managed services to Fremont businesses. Internet services have evolved. Copper based connectivity has been left behind by fiber optic internet. The benefits of upgrading to fiber are clear. Fiber internet is more reliable. Fiber sends packets with lower latency. Our symmetric metricFIBER uploads and downloads media and files faster. We also support the latest in business phone service technology. Enjoy cost savings and flexible management with cloud hosted phones. Free unlimited calls across the USA. Cheaper long distance. Enterprise level features included for a flat service fee. Only with Fastmetrics metricPHONE service. We also offer hosted business VoIP and SIP trunk solutions. 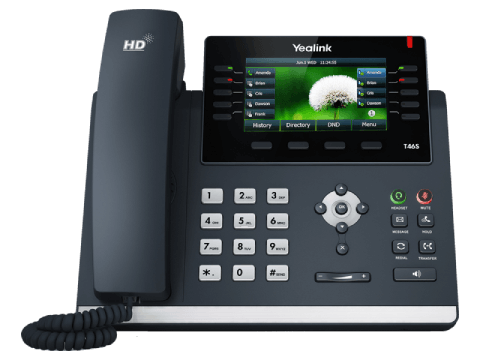 Choice of new Yealink or Polycom phones at your Fremont business. All our business internet connections, voice lines and managed services are monitored 24 x 7 x 365. Services are supported by our local Technical Support Team, based in San Francisco. Our Support Team do a great job of...providing support. It's weird to us that other ISPs neglect this critical part of their business, or do a poor job of it. Fastmetrics understands you want reliable services, backed by great customer service. We know you don't want to be placed in a queue or speak to a recording. Speak directly to a local tech when needed. Our Support Team receive great feedback for their responsive work. We would love to help your Fremont business. Contact us today by clicking on the Get A Quote button below.